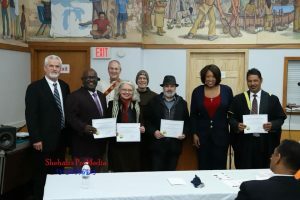 The American Human Rights Council (AHRC-USA) extends its heartfelt appreciation to the Common Word Alliance Clergy Interfaith Organization (CWA) for presenting AHRC with a Certificate of Appreciation during its 8th Anniversary Thanksgiving holiday dinner that was held on November 21, 2018 at the People’s Community Services Center in Hamtramck. AHRC is honored to receive such recognition. 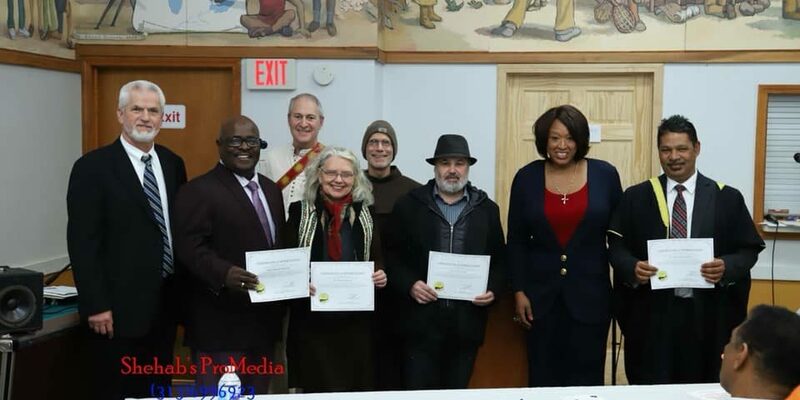 The Holiday Dinner program included State Rep. Sherry Gay-Dagnogo as Master of Ceremonies, and guest speakers Dr. Hester Wheeler, Dr. Imam Achmat Salie and Musical entertainers for all souls Hazzan Steve Klaper and Mr. Al Moscia. 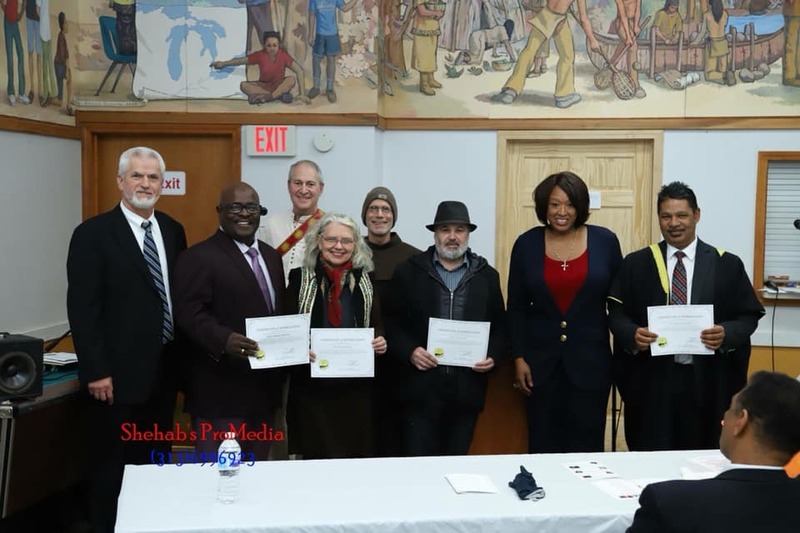 Wayne County Commissioner Martha G. Scott, the Mayor of Hamtramck Karen Majewski PhD, Hamtramck City Manager Kathy Angerer, Wayne County Treasurer Eric Sabree, Representative Mrs. Beverly Hilton, Tom Cervenak Executive Director of The Peoples Community Service Center and others. “The Common Word Alliance is an interfaith religious/interreligious community alliance committed to promoting and advancing peace and harmony and to be a model globally,” said Arif Huskic, President of CWA. “We are honored by this recognition from an organization whose mission is also to serve humanity,” said Imad Hamad, AHRC Executive Director. “We pledge to continue our work and be guided by the mission of serving humanity by advancing human rights,” continued Hamad.